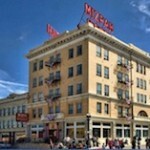 Blog Giddy Up & Get Away to the Mizpah Hotel for Valentine’s Day! 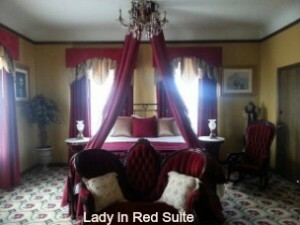 Giddy Up & Get Away to the Mizpah Hotel for Valentine’s Day! With thousands of desert miles under my (automotive) belt, a question has always lurked in the back of my mind: How did the pioneers do it? How did the men, and especially the women, survive the hardships of this harsh climate as they labored to create a civilization out of dust and cactus beneath a blazing unforgiving sun? It was in their genes. Just look at Nancy Cline. Her great uncle, Harry Ramsey, was a pioneer miner who came to Tonopah in 1900 to seek his fortune in silver. Cline’s ancestral path goes from Tonopah to the San Francisco Bay Area and back again. Cline and her husband, Fred, have built a family-run empire that includes Cline Cellars and Jacuzzi Family Vineyards in Sonoma County, and destination properties; Dillon Beach Resort, the Villa at Cline Cellars and Villa Laura in Italy. The Clines also own and operate Green String Farm in Sonoma, where they farm local, sustainably grown produce and meats. Masters of hospitality and entrepreneurs with a notable passion for history, the Clines saw an opportunity to recreate yet another historic landmark destination property with the renovation of the Mizpah Hotel in 2011. 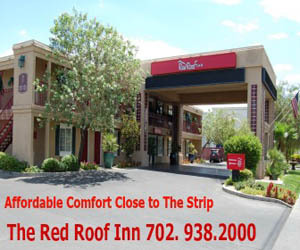 Boasting forty-seven guest rooms, two restaurants, a casino, two saloons, and the hovering presence of the ghostly “Lady in Red”, the Mizpah Hotel is the getaway destination for travelers, lovers, and tourists on the road between Las Vegas and Reno. Fresh paint, wallpaper, carpeting, and window dressings have given the 110-year old grand dame a welcome face-lift. This year the Mizpah Hotel is offering a Valentine’s Day getaway room package for only *$149, plus dinner specials and live entertainment. With seven children and seven properties to run, one wonders what keeps Nancy Cline ticking. The decision to add the Mizpah Hotel to the family portfolio wasn’t her idea alone. “God had a hand in it,” Cline says. Be it God, ghosts, or simply good old-fashioned pioneer genes, the Mizpah Hotel is ready for another century of hospitality: Cline style.